They say pictures never lie. The photographs of downtown Salt Lake City from the mid-1930s to 1950 show an interesting truth. Downtown was once the epicenter of the valley and populated with strong, flourishing local businesses. While the photographs of building facades and urban streets tell one story, historic economic data paints an entirely different truth. 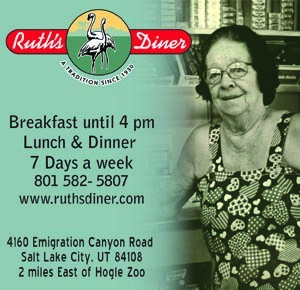 The truth was that by the early 1960s, the economic health of downtown Salt Lake City was in rapid decline. City leaders, architects and merchants were amazed that in less than a decade, downtown had gone from a vibrant entity—the place where everyone shopped, dined and was entertained—to becoming a passé relic. It wasn’t the city of the future. It was the place your mom had taken you for years to buy school clothes. 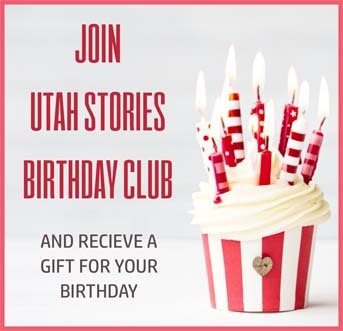 It was the place where the kids rode the trolley for a nickel on Saturday mornings to watch cartoons and the latest Adventures of Zorro at the Utah Theater. If they were lucky, my grandmother remembers, they received an extra nickel to buy candy and a soda from one of the many soda fountains on Main Street. There was a particular route everyone took, starting with Cress, Keith O’Brien, Auerbach’s, Paris Company, then through the restaurant area where Lambs, the Owl and many pubs were located. This stretch also had a series of 12 independently-owned jewelry stores, including McKay Diamonds and Boyd Park, Broadway Music, Daynes Music, Jack Wolfe Ranchwear, then eventually the massive ZCMI store with its changing, amazing window displays. “America’s First Department Store” resided on 130 South Main next to Zions Bank. Main Street had an interesting balance: north of Second South were mostly businesses owned by LDS people. South of 200 South was the “Gentile” (non-Mormon) area. The hotel for Mormons was the Hotel Utah, near the Temple. The hotel for Gentiles was the Hotel Newhouse, closer to the City and County building and Auerbach’s. The Exchange Place block was the home of the Salt Lake Stock Exchange and the ornate Boston and New House buildings. Going back to the 1930s and 1940s and most of the 1950s, around where the Salt Palace resides today, was Japantown which offered boarding houses and markets. Around 200 West and 2nd and 3rd South was Greektown with the same ethnic markets. There, the “new immigrants,” who came in floods in the early 1920s, didn’t face the prejudice from many assimilated residents. The Greek Orthodox Church resides today where Greektown once was. There was also Chinatown, where Plumb Alley is today (west of Carl’s Jr), and a Little Italy. These places functioned to serve the deluge of immigrants through the assimilation process. Though not many photos exist of the various distinct immigrant areas, it was very clear that Salt Lake, like most cities in the United States, was a city built by immigrants with big ideas who were willing to work very hard. Greeks, Italians, Chinese, Armenians and Eastern Europeans worked mostly in the mines and smelters. In the four block radius that made up the central business district, children played outside unaccompanied by parents. Almost everyone walked everywhere, so people watched out for each other’s children. The city was alive, vibrant and in a constant state of progress and development. But, by the 1960s, this idyllic version of Main Street was fading. Main Street had become a hassle to visit by suburban dwellers. By this time most everyone owned a car, and more homes were built with attached garages. The interstate highways were completed, offering inexpensive suburban housing, and downtown Salt Lake didn’t offer enough parking. Compounding the problem, there were no longer trolley lines feeding into the city. Downtown had not been built for cars. It was built for people. By 1962 the suburban shopping centers, Cottonwood Mall and K-Mart offered ample parking and convenience. Between 1950 and 1962, the population of Salt Lake City had grown from 290,000 to 414,000. By 1962, the central business district of downtown, which was once receiving around 35.8 percent of all retail sales, skidded to less than 20 percent. This figure was expected to drop to 15 percent by 1967. While overall sales, population and commerce were increasing, downtown was dying. Just the maintenance of sidewalks was proving difficult and blight was showing up in pockets. With the city realizing a rapid decline in tax revenue, stores were also desperately entertaining ideas for enticing customers to return. Signs were growing larger and advertisements were painted on the sides of buildings. Merchants were jockeying for position to see who could present the biggest and loudest message to lure in shoppers. But the greater problem was people weren’t listening and/or didn’t seem to care much. The national chains such as J.C. Penney, Woolworth’s, Cress, Weinstock’s, K-Mart and eventually Nordstrom were attracting more shoppers. And by 1968 more chain stores were moving in and more historic buildings and beautiful architecture was razed in the name of rebuilding downtown for vehicular convenience. They called it the Second Century Plan. The plan envisioned 5,000 parking places in downtown in the next five years, a mini-bus system was proposed to replace the long-gone trolleys, which by now they were realizing were a mistake to remove. The plan envisioned overhanging shelters to protect shoppers from the snow, skyways to allow shoppers to cross streets without going outside, a convention center and an arena. And finally, the two most damaging ideas—removal of overhanging signs and the beautification projects, two things that would further sterilize downtown. 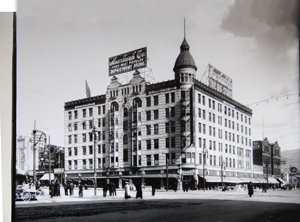 Three landmarks would be demolished: The Wilson Hotel, the Halloran Building and Pony Express Building. The Salisbury Building would be remodeled for J.C. Penney’s expanded store and parking terrace. The beautification projects were introduced because by 1963 it became clear that indeed downtown was becoming much more “ugly” as one Salt Lake Tribune article stated. The sidewalks were in disrepair and the new facades of the chain stores were incredibly out of place with the historic, mostly three-to-four story buildings of the main retail area.